Adventurous and eco-conscious travelers will love this trip to Natural Park of Teno. 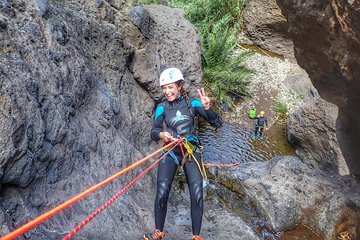 Spend the day rappelling down vertical rock faces and playing on natural water slides and under waterfalls. If you’re feeling adventurous, jump from the cliffs (the highest is 25 feet). Beginners are welcome, but should be reasonably fit and able to navigate rough and wet terrain.